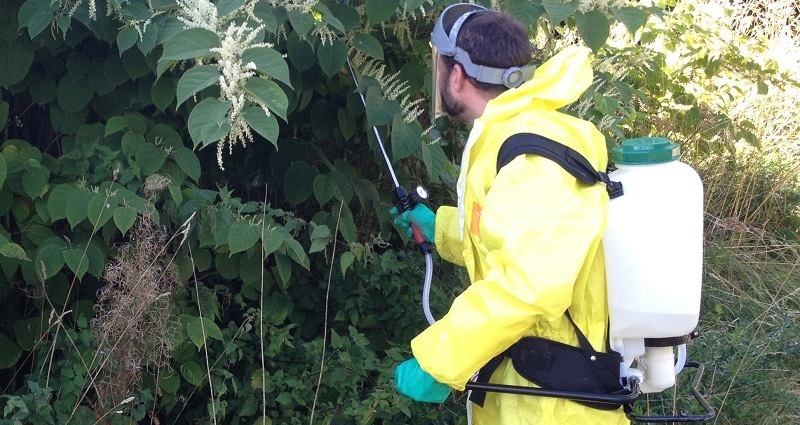 This is weedkiller, but it isn’t quite the same as what you do to the weeds in your garden. The principles are similar, just we have a wider range of techniques for herbicide application and we use commerical strength herbicides. Herbicide treatment is often the most cost effective option, it is possible to treat invasive weeds within one growing season (6-9 months) however complete treatment will often take longer and can require up to 5 years of annual post treatment monitoring (fortunately a relatively simple and quick task each year). We have the experience, qualifications, and licenses necessary to provide these services across the UK.